November 2018 - Pelican Isle Yacht Club is proud to announce that the Club has been selected again as a Platinum Club of America! Platinum Club recognition is the most respected award in the Private Club industry with only the top 5% of Private Clubs receiving Platinum Status. Pelican Isle Yacht Club was awarded 7th place nationally in the Yacht Club Category 2019-2020. 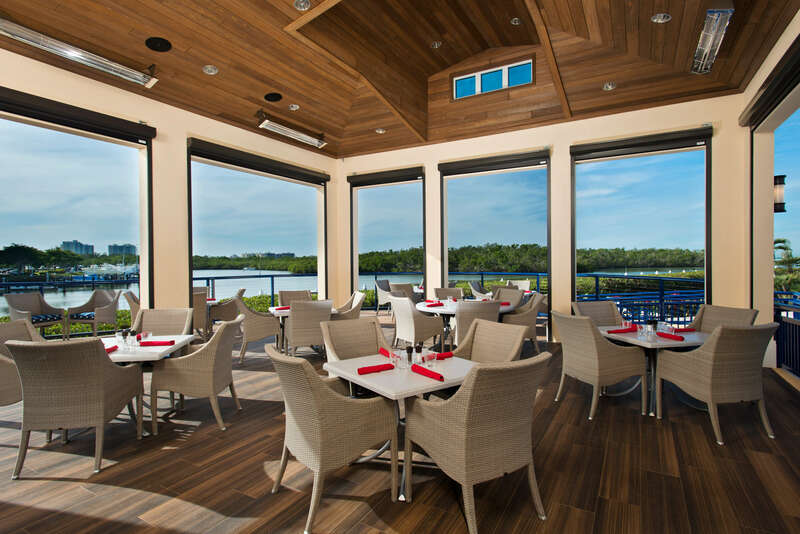 Pelican Isle Yacht Club, located in north Naples, is proud to welcome Sherri Russell back to their professional team as the Special Dining & Event Coordinator. PIYC’s Director of Membership Sales & Marketing, Kathie Pedit, CMP, has been elected to serve on the Board of the Membership Directors Association of Southwest Florida (MDASF) as the Public Relations Chair. Logan Quataert has joined Pelican Isle Yacht Club’s management team as new Club Controller. 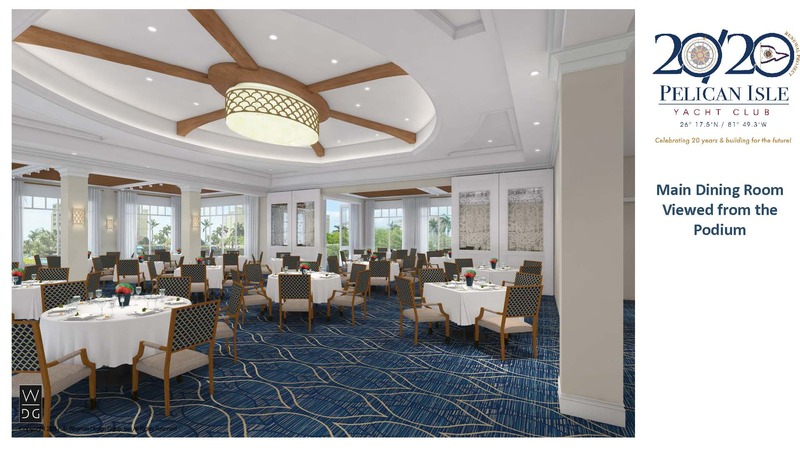 Logan comes on board at the conclusion of a $4.8M renovation, and brings a background in private club accounting and finance as well a phenomenal level of member service and effective leadership. 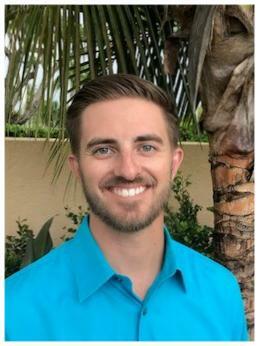 Formerly at Grey Oaks Country Club as the Accounting Manager, Logan is familiar with all aspects of Club Accounting, and earned his degree in Business Finance from Florida Gulf Coast University. On Saturday, March 24th, the new Commodore of Pelican Isle Yacht Club, Richard Hobbs, was sworn into office for his 2018-2019 term, followed by David Kessler, Vice Commodore, and Thomas Friedman, Rear Commodore. These are the Flag Officer positions which lead the Club Board of Directors. Elections took place at the Membership Annual Meeting on Monday, March 19th, and the official induction takes place annually at the traditional Change of Watch event the following Saturday. 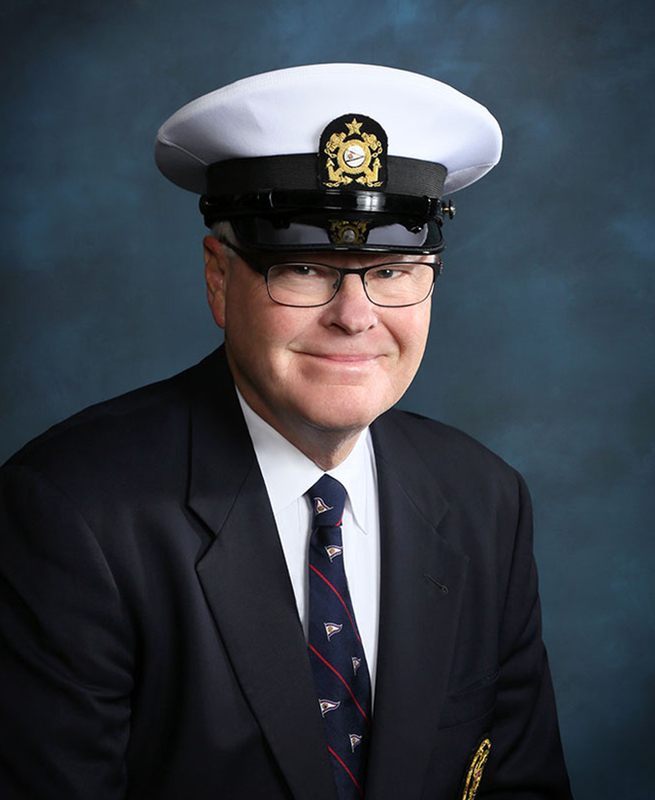 At this time, Rick Baird, the 2017-2018 Commodore, turned over his watch of the Yacht Club to the new Commodore, Richard Hobbs. 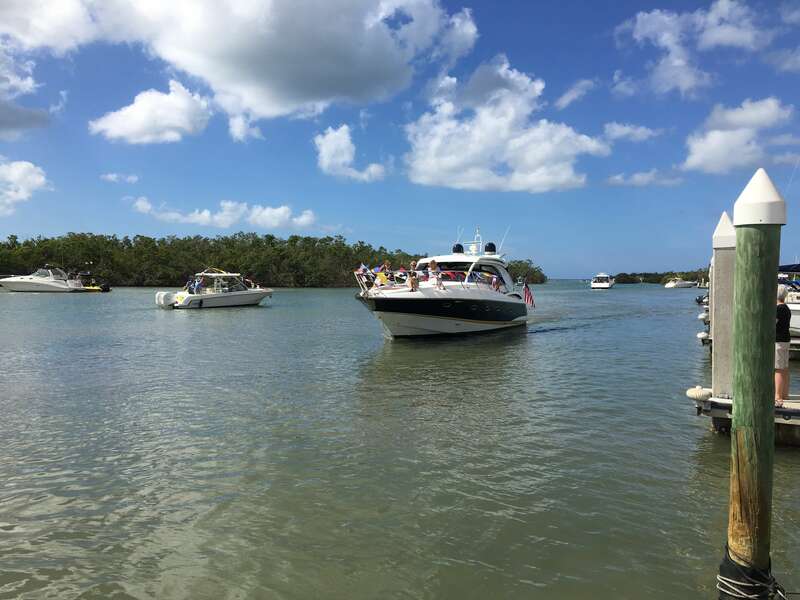 On Saturday, February 10th, over 130 Members of Pelican Isle Yacht Club and their guests gathered for the annual Fleet Review and Blessing of the Fleet Ceremony. This is a special Yacht Club tradition, during which the Club’s fleet is reviewed by the Commodore, Flag Officers and visiting dignitaries, either from the club grounds or from a vessel anchored or moored nearby. January -Pelican Isle Yacht Club recently completed a $4.8 million dollar renovation, enhancing and updating the facilities for the Members of this already-beautiful yacht club. The newly redesigned 20,000 square foot clubhouse features a contemporary design throughout with an upgraded dining room, expanded indoor & outdoor casual dining areas, a state-of-the-art-kitchen, enhanced water views from the clubhouse, new meeting & banquet spaces, and new outdoor dining and activity features including 2 bocce courts and fire pits. November 28, 2017 - Pelican Isle Yacht Club has several staff members being recognized for their achievements and professional development, and the Club has welcomed new personnel to the team. 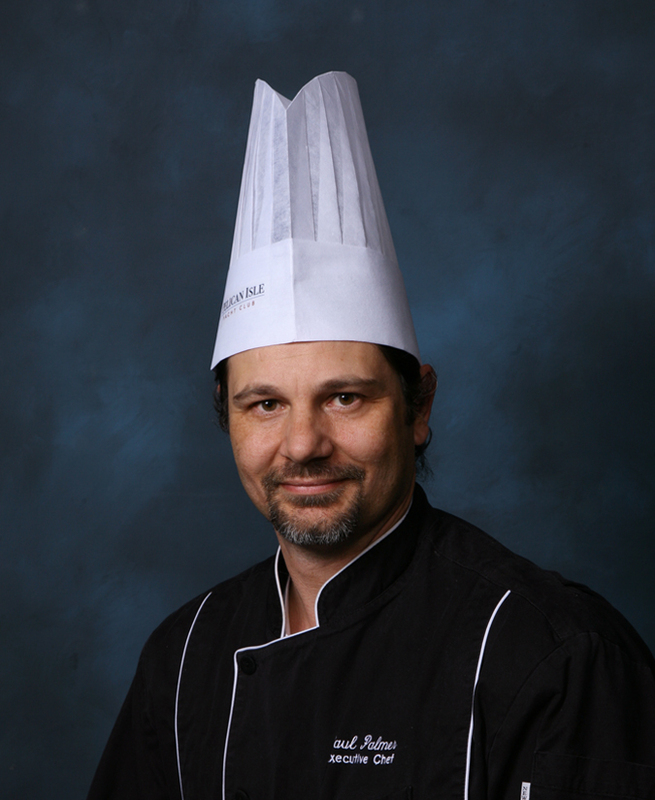 July 2017 - Pelican Isle Yacht Club is proud to share that their Executive Chef, Paul Palmer, CEC, was featured as the Guest Chef for the Greater Naples YMCA wine dinner series "Beyond the Plate" on Saturday, July 22nd. "Beyond the Plate" is an exclusive healthy-cooking demonstration & wine dinner series, with tickets limited to 24 attendees each month, and all proceeds go to benefit the Greater Naples YMCA. May 2017-Pelican Isle Yacht Club is currently undergoing a $4.8 million dollar renovation, projected to reopen in November 2017, enhancing and updating the facilities for the Members of this already-beautiful yacht club. The newly redesigned 20,000 square foot clubhouse will feature a contemporary design throughout with an upgraded dining room, expanded indoor & outdoor casual dining areas, a state-of-the-art-kitchen, enhanced water views from the clubhouse, new meeting & banquet spaces, and new outdoor dining and activity features including 2 bocce courts and fire pits. On Saturday, February 18th 2017, over 100 Members of Pelican Isle Yacht Club and their guests gathered for the annual Fleet Review and Blessing of the Fleet Ceremony. This is a special Yacht Club tradition, during which the Club’s fleet is reviewed by the Commodore, Flag Officers and visiting dignitaries, either from the club grounds or from a vessel anchored or moored nearby. PIYC Again Awarded Platinum Club of America - #10 Yacht Club in USA! December 1, 2016 - Pelican Isle Yacht Club is proud to announce that the Club has been selected again as a Platinum Club of America! Platinum Club recognition is the most respected award in the Private Club industry with only the top 5% of Private Clubs receiving Platinum Status. Pelican Isle Yacht Club was awarded 10th place nationally in the Yacht Club Category 2016-2018. Several of our team members have recently achieved new certifications and awards special honors by their professional organizations! The IOBG District 8 Annual Meeting & Installation of Officers was held at the Pelican Isle Yacht Club in Naples, FL on Saturday, October 8th, 2016. 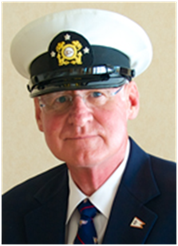 At this gathering, Peter Franck, Past Commodore of Pelican Isle Yacht Club, was elected President of District 8. District 8 is the largest district in IOBG with Chapters located throughout the entire state of Florida. The Installation Dinner was attended by 40 members and guests. A complete Fitness Center renovation has been completed this summer at Pelican Isle Yacht Club. The PIYC Fitness Center received a floor-to-ceiling makeover with state-of-the-art, Wi-Fi integrated TechnoGym cardio and strength equipment installed. The new flooring, wall treatments, and entrance to the Fitness Center have updated the look and feel of the space to be on par with the top-notch level of the new TechnoGym equipment. Additionally, the Spa Services rooms and Aerobics Room were updated for a cohesive, contemporary atmosphere throughout the facility. The Fitness Center, located on the upper level of the Club, was celebrated with a Grand Re-opening in September. 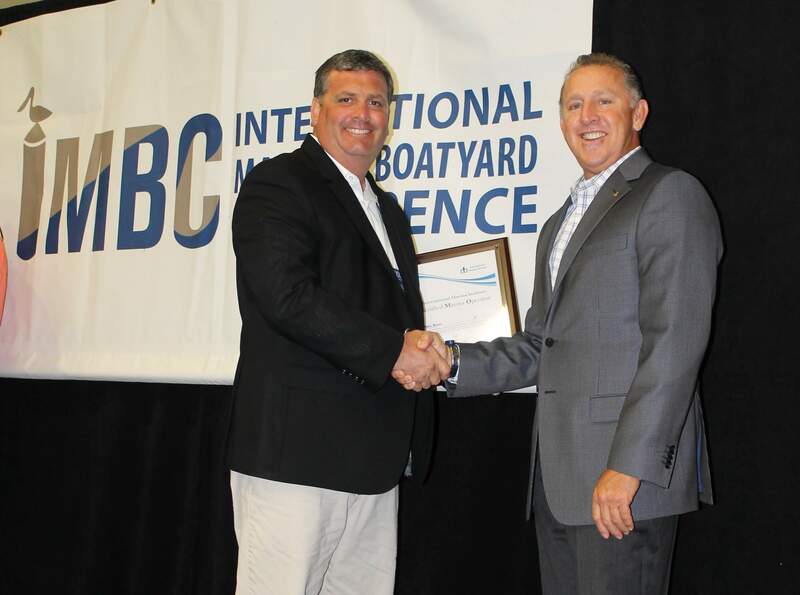 The International Marina Institute (IMI), the training subsidiary of the Association of Marina Industries, awarded the designation as Certified Marina Operator to Jake Rowe, Dockmaster, at Pelican Isle Yacht Club of Naples, FL on Thursday, January 28th at the 2016 International Marina & Boatyard Conference in Fort Lauderdale, FL. Read more to see the full press release. On March 3rd of 2016 the Pelican Isle Women’s Club hosted a fundraiser benefiting Youth Haven. The event theme was Girls Night Out, a perfect blend of fun and philanthropy all the while supporting Youth Haven. According to Regina Driesbach, Vice President of the Pelican Isle Women’s Club, “Youth Haven was chosen as the charity for The Pelican Isle Women’s Club annual fundraiser. This year over 100 members came together recently for a “Girls Night Out” held at the Pelican Isle Yacht Club. The evening included music, dancing, entertainment, delicious food and a Silent Auction. Most importantly the women raised over $30,000 to benefit the children of Youth Haven.” Read more for the full press release on Youth Haven's website. 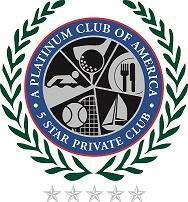 Pelican Isle Yacht Club is proud to announce that the Club has been selected as a Platinum Club of America 2014-2016. Platinum Club recognition is the most respected award in the Private Club industry with only the top 4% of Private Clubs receiving Platinum Status. Platinum Clubs of America is managed by Club Leaders Forum. Pelican Isle Yacht Club is proud to be entering it's second year ranked as the #14 yacht club nationwide as a Platinum Club of America.